Lots of people want to be Self-Directed IRA investors. But few people want to take a 3AM phone call to fix a broken toilet. Fortunately, you do not have to. That is why we have property managers. For a relatively small fee of between 10 and 20 percent of rents collected, these real estate professionals handle the day-to-day tasks of maintaining and running your properties. All you have to do is make the strategic decisions, approve the purchase and sale of Self-Directed IRA properties, and ensure you are in compliance with applicable laws concerning prohibited transactions. Here are the basic things all Self-Directed IRA investors should know about property management. As part of their licensing requirements, real estate brokers must maintain adequate errors and omissions insurance. This helps protect you and your Self-Directed IRA against liability that may arise because of mistakes the broker and his or her staff may make in managing your property. 2.) You cannot pay them directly. If you hire a manager to run your Self-Directed IRA property, you cannot simply write them a check out of your personal account. Instead, you must make all transfers to them via your Self-Directed IRA. If you pay them directly, you may face significant tax and legal consequences, including the disallowing of your Self-Directed IRA’s tax advantaged status. This could result in significant immediate tax liabilities and penalties. That means all maintenance reserves, special assessments, reimbursements and fees not covered by rent withholding must come from within your Self-Directed IRA. The same goes with any real estate taxes due on the property. 3.) Property managers cannot pay you directly. If you own the property in a Self-Directed IRA, they must transfer rent payments, deposits forfeited by the tenants and any other moneys to your IRA, and not to you directly. If they pay you directly, rather than transferring funds to your Self-Directed IRA, you may again run afoul of prohibited transaction rules, resulting in possible taxes and penalties. Your children, grandchildren or great grandchildren or those of your spouse. Your parents, grandparents or great grandparents or those of your spouse. 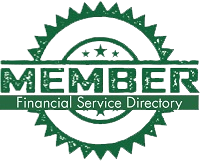 An attorney, financial planner, agent or other fiduciary who provides you advice concerning your Self-Directed IRA. Any entities controlled by any of the above prohibited counterparties. This also means you cannot hire yourself and pay yourself what you would otherwise pay a property manager to manage your own property. The Self-Directed IRA: Why You Should Get Started Now. Self-Directed Real Estate IRA Glossary Are Your Self-Directed IRA Investments Generating Unrelated Income?